Tracy Morgan Marries Megan Wollover! 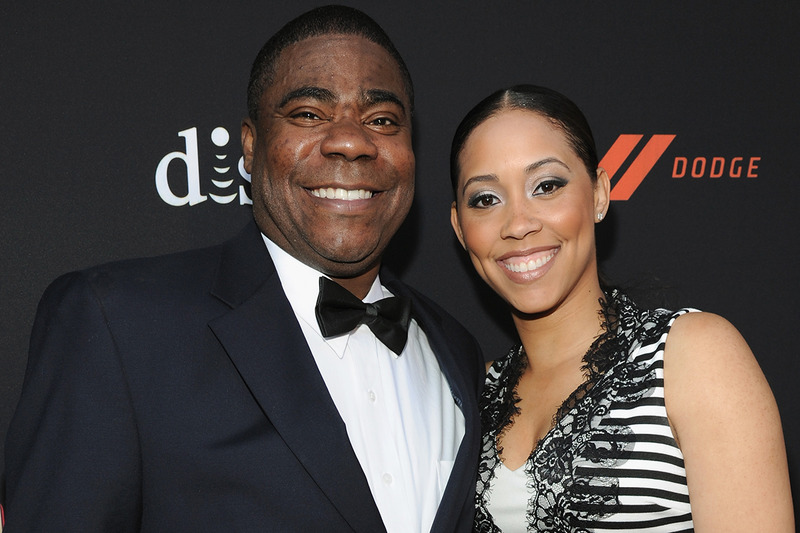 Tracy Morgan tied the knot with his fiancée Megan Wollover on Sunday, the 46-year-old's rep confirmed to People. The pair has been dating since 2011 and have a two-year-old daughter together, Maven. Tracy and Megan with their daughter, Maven. "After almost losing Tracy last year, I am so grateful to finally be married to the love of my life," 28-year-old Megan gushed. Tracy was involved in a serious car accident last June, which left him in critical condition and landed him in a rehab center. At the time he broke his leg, femur, nose and ribs. His recovery was definitely a struggle, but the SNL personality continues to fight. He had to learn to sit, stand, and walk again — and also reached his goal of walking down the aisle without his cane.